Is the Trump administration cracking down on cannabis? Here’s why some consumers and suppliers are worried about their access to CBD. There has been a bit of bad news in the cannabis world recently. Federal government leaders and the Drug Enforcement Administration (DEA) have taken some jabs at the cannabis industry, though President Trump himself has expressed support for medical cannabis. However, coupled with DEA’s recent written crackdown on CBD, the interaction between the industry and key federal officials seems dismal at the moment. But, will Trump and the DEA soon put CBD out of reach? The time to rally and express support legal, safely accessible cannabis products is now. Is the Trump administration cracking down on cannabis? Recently, comments made by the U.S. Press Secretary Sean Spicer and Attorney General Jeff Sessions have made comments that have caused a stir in the cannabis industry. In February, Spicer used rhetoric that linked cannabis to the current opioid epidemic, which claimed 33,000 lives in 2015. More recently, Jeff Sessions suggested that high-THC cannabis was linked to increased risk of violence, though he cited no scientific evidence to support these claims. In contrary, an early human study has shown that high-dose THC has a tranquilizing effect. In general, cannabis consumption is linked to lower rates of domestic violence, has no known causal correlation to criminality, and holds potential as a safer, natural alternative to addictive opioid pain medications. While it’s no surprise that some federal government leaders are wary of peace-loving cannabis consumers and the mind-bending plants they cultivate. However, even non-psychoactive hemp products have been under fire. Last December , the DEA added specific rhetoric to a new rule on cannabis under the Controlled Substances Act of 1970. Will CBD soon be out of reach? For practical purposes, all extracts that contain CBD will also contain at least small amounts of other cannabinoids. However, if it were possible to produce from the cannabis plant an extract that contained only CBD and no other cannabinoids, such an extract would fall within the new drug code 7350. Whether or not it is legal for the DEA to make these statements is currently a major point of contention between the cannabis industry and the federal government. A similar move by the DEA back in 2004 resulted in a court battle between the institution and the Hemp Industries Association (HIA). The DEA had tried to criminalize all forms of THC, which naturally occurs in non-psychoactive hemp. The ninth circuit court of appeals voted in favor of the HIA, which argued that the DEA did not have jurisdiction to ban all forms of naturally occurring THC, as the original Controlled Substances Act specifically criminalizes psychoactive marijuana, not non-psychoactive hemp used for fiber and foodstuffs, which is legal to import. Fortunately, patients in legal medical cannabis states are protected by the Rohrabacher-Farr Amendment, which blocks the Justice Department from spending funds that crackdown on state medical cannabis programs. However, this amendment does not protect those who use cannabis products in non-medical states. The Cole Memo, issued by former Attorney General James Cole in 2013, which makes cannabis crimes in legal cannabis states a low-priority for federal law enforcement. The memo was issued during the Obama administration, and it’s no secret that Trump is expected to overturn many Obama policies throughout his term. Whether or not this will be the case with cannabis remains to be seen. For now, those concerned about accessing CBD should be aware but are free to continue to purchase CBD oils online and in stores. Products like CBDPure come in 100, 300, and 600-milligram options, and ship to anywhere in the United States. CBDPure is a dietary supplement made from hemp oil, which contains natural CBD, beneficial aroma molecules called terpenes, and other non-psychoactive cannabinoids. The oils are organic and are quality tested by an independent third-party laboratory. The hemp oil extract starts at $24.99. 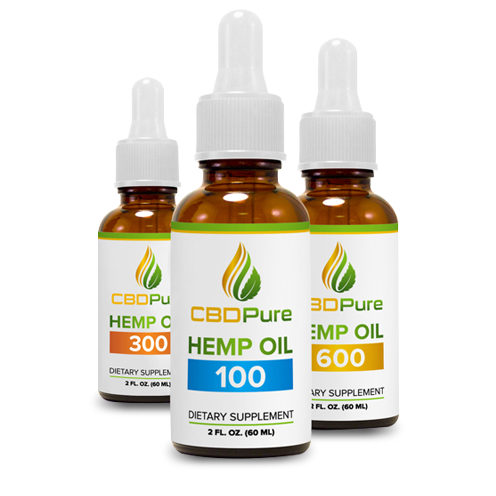 To get your own bottle of CBD Pure, simply visit CBDPure.com. Concerned about the future of cannabis reform? If you would like to reach out to your representatives, find their contact information on house.gov.